MKR1000 from Arduino allows makers to easily add secure Wi-Fi connectivity to projects with minimal networking experience. The Arduino TIAN board features a 32-bit microcontroller and a built-in 4GB eMMC memory. The Arduino Uno Wi-Fi has an integrated ESP8266 Wi-Fi module and just needs a power source to get started. 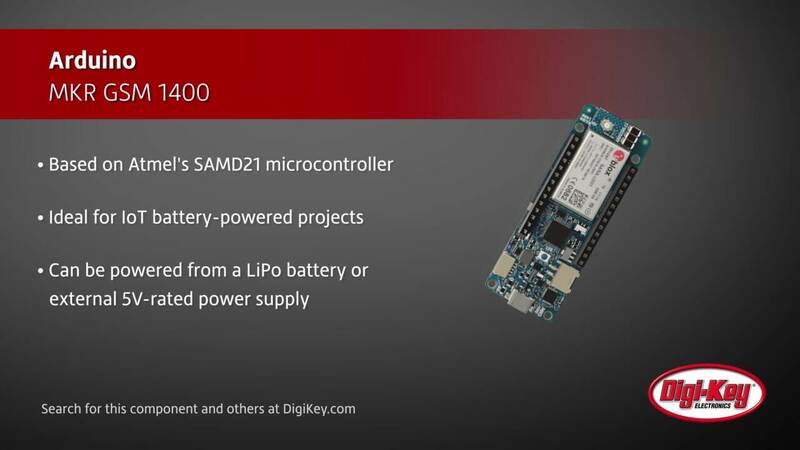 Arduino MEGA 2560, based on the ATMEGA 2560 microcontroller, expands on Arduino UNO's capabilities while keeping the Arduino well-known simplicity and ease of use. 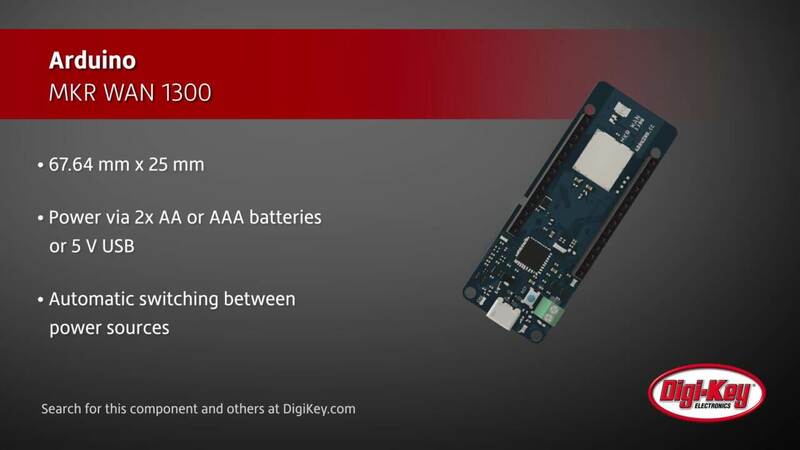 The MEGA 2560 features 256 KB of Flash memory and 54 digital IO's. 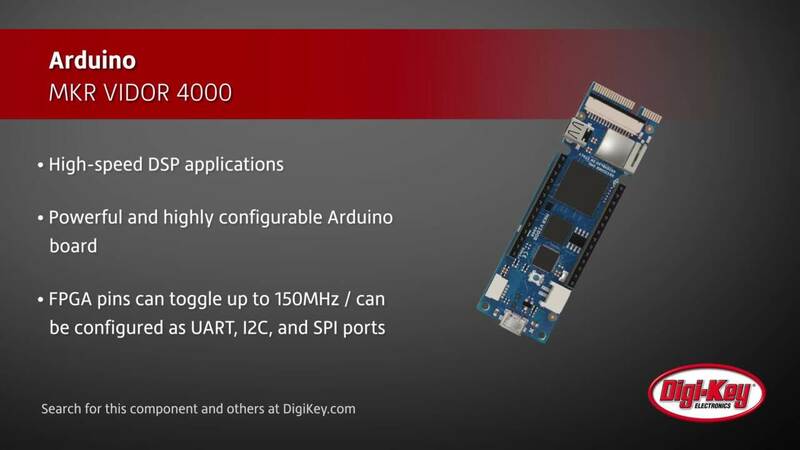 Digi-Key Daily previews the Arduino Uno R3. Arduino's Uno R3 is an inexpensive and easy-to-use microcontroller that offers designers a simple development option. It is based on the ATmega328 8-bit, 16 megahertz microcontroller. The Arduino YUN, based on ATmega23u4 microcontroller, is similar to the Arduino Leonardo with an integrated WiFi system-on-a-chip (SOC). The Yun WiFi SOC used Linino making it capable of use as either a WiFi or Ethernet interface. The Leonardo differs from all preceding boards in that the ATmega32u4 has built-in USB communication, eliminating the need for a secondary processor.